If you’ve just started playing 2K Sports’ new Android and iOS companion game for NBA 2K17, My NBA 2K17, you’re probably curious about the Blacktop Challenge. 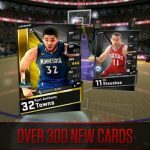 We did mention this more than a couple times in our two previous strategy guides for the game, and for those who aren’t aware, this is a new game mode (for this iteration of the MyNBA2K series) that could potentially earn you tons of rewards and help you add a lot of oomph to your deck with some extremely rare cards. And just in case you aren’t familiar yet with My NBA 2K17 and its mechanics, this is more of a deck-building/trading card game, rather than an actual basketball game with the realistic gameplay you know from the NBA 2K games for console and PC. If you’re looking to improve your performance in the Blacktop Challenge, and make it to the top three or better, we suggest checking out this new My NBA 2K17 strategy guide, as we talk about the different ways for you to perform better in this game mode. We hope these tips will help you win more Blacktop Challenges, or at the very least, help you to more second- and third-place finishes. First off, let’s start at the very beginning, before you even decide to give this game mode a try. 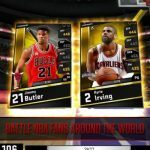 In order to enter a Blacktop Challenge, you will need at least 25 cards, but you have to be sure that those cards for the Blacktop Challenge are, at the very least, very good in terms of stats. That’s because the game will randomly select your starting five, and if you’ve got 25 cards that can be considered strong cards to play, you’ve got multiple fallbacks, and no chance of ending up with a subpar player in your hand. If you’re just starting out, it won’t be easy to have so many cards with strong statistics, but that’s probably going to be the case for your opponents as well. Start out by training your top five players, or the hand you’ll mainly be using in your Quick Games, then work your way downwards by groups of five until you reach the hand that’s the least impressive stats-wise. The first round is really the only round where guesswork is involved when it comes to choosing your opponent. But once that first round is over, it becomes much easier to pick your opponents. Typically, the one who won the last round is the best one to go for, as their player cards’ stats will be depleted, even if they have more than enough energy. In fact, their stats may be close to zero, as energy cards are best used when the players’ stats are at much higher levels. So with that in mind, choose that opponent with depleted stats, and replay your match against that opponent until the timer reaches zero. It’s all about grinding and farming here, and picking on a weakened opponent over and over again. Now that you know the basics, let’s move on to some “advanced” tips and tricks for winning Blacktop Challenges in My NBA 2K17. The first tip would be to have at least four, but preferably ten energy refills before starting a challenge; there are some ways to go through a challenge successfully without using those refills, but it never hurts to have some refills handy just in case of emergencies. When playing the first round in a Blacktop Challenge, you should try to win as many games as possible. You can challenge players who are located in the lower third or fourth of the list, as that would usually mean their cards are weaker than yours. And going on the tip we told you above, keep on replaying matches against the same opponent if that opponent turns out to be easy pickings. At some point in the challenge, meaning the even-numbered rounds in particular, you may have to deliberately lose your games. The best way to do this would be to lose your second-round games against the last-placed player, meaning the one with the best cards and most energy, and try to lose four games all in all, as that would refresh your cards and get you ready for the next round. When it comes to deliberately losing, that would require you to pay no attention to what you see on the display, and just tap frantically on your screen, and choose players randomly. 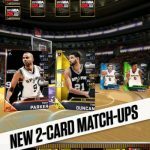 Do not, in any case, use support cards in this part of the Blacktop Challenge. For the fourth and fifth rounds, you’ll need to repeat what you did in rounds two and three respectively. And once everything is said and done, you’ll be among the top three players at the end of the Blacktop Challenge, though your placing will depend on how the other players performed. 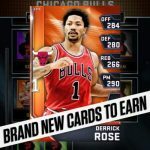 Now if you followed the fourth tip and brought some energy cards with you for the Blacktop Challenge, and also plan to use those cards, your second-round strategy will differ a bit. However, that would only apply if you’re at fifth place or lower after the first round. What you’ll need to do would be to replenish all your players’ energy, and to play against the first-placer and win as much as possible if everyone is at 100 percent energy. But if someone’s energy is less than 100 percent, that’s when you can play to lose like you did in the method we showed you above. Just send random players into the game, compete against the fifth- or sixth-placer, and work your way down. In the end, you may have about two or three losses against your name. For the third round, where you’ll normally need to win all your games, you have two options. You can use a new batch of energy cards for those whose energy needs a boost, or alternately play against the opponent who won the last round. For the second option, you need to play your two worst cards, meaning the ones with the least energy, during two-on-two matchups, and play your best cards when it’s one-on-one. Using this strategy, you will most likely win four or five times in the round. Just as you did in tip number five, repeat your second- and third-round strategy in the fourth and fifth rounds respectively. As you can see, things may get a bit unwieldy if you decide to use your energy, and you may ultimately decide to bring the lowest recommended number of refills, and save them instead for Season Mode.